Three weeks ago, we shone a spotlight on Bretagne, the last known surviving 9/11 search-and-rescue dog, who died this past year. This week on the blog, we’re going to start a series of posts about typical (and some less-than-typical) K-9 dog breeds, starting with Bretagne’s retriever family and moving onto a number of other well-known breeds including German shepherds, beagles and pit bull type dogs. Labrador Retrievers: These dogs are bred in three main colours—black (better known as black Labs), yellow (better known as golden retrievers) and brown (better known as chocolate Labs)—but all three colours are well suited to be working dogs. They are noted for low levels of aggression, therefore they are not used for suspect apprehension or patrol. However, this personality trait makes them extremely suitable as search-and-rescue dogs. Additionally, these dogs have a very strong sense of smell, which is why they were originally used as retrieving dogs during the hunt. In the modern working dog world, that keen sense of smell is used for suspect tracking and arms, drugs, explosives, accelerant, and general object detection. Retrievers are excellent air scent and/or trailing dogs. Bloodhounds: Bloodhounds were originally bred for hunting, but they became one of the oldest breeds to be used in police work. Since the Middle Ages, these dogs have been renowned for their skill in human tracking. Many find them comical looking, but their physiology actually aids in their work since their floppy ears and loose skin help in scent gathering. They are able to follow days-old scent over long distances, which makes them useful while tracking suspects, lost children, and missing pets. Bloodhounds can be willful and sometimes difficult to train, but a trained bloodhound is a huge boon to any law enforcement agency or search-and-rescue group fortunate enough to have one. Next week, we’ll be back with what most people recognize as a police dog—the German shepherd and it’s close relative, the Belgian Malinois. Want to join Jen’s newsletter to stay up to date on the latest publishing news and exclusive early content like cover reveals (two of which will be coming early in the new year)? Then sign up at the bottom of the home page at https://jenjdanna.com/! LONE WOLF is now out! Don’t miss this chance to start a great new series. It also makes a fantastic holiday gift for the dog or mystery/thriller lover in your life! You can find it as these fine retailers in hardcover, ebook and audiobook formats: Amazon.com, Amazon.ca, Amazon.co.uk, Chapters/Indigo, B&N, BAM, IndieBound, Target, Walmart, Hudson Booksellers. Over the past few blog posts, we’ve talked about the history of working dogs and even the career of one specific WWI hero. Today we’re going to talk about modern working dogs, briefly looking at some of the crucial jobs they do today. Then, in the future, we’ll look at these jobs in more detail. Military K-9s: Dogs have become a day-to-day part of battalion life for many of the services. They are used for patrol/sentry duty, explosives detection, drug detection, finding fallen soldiers, and signaling enemy approach. They also fulfill an important role as therapy dogs. Police K-9s: Most modern police dogs are trained for one task such as search-and-rescue, detection of explosives, drugs, arson, or electronics, patrol, and cadaver detection. A very few dogs cross-train; for example search-and-rescue dogs who also do tracking. Detection dogs (drug, arson, electronic, explosives, etc.) are generally trained in just a single odor category, but within this one area, they learn to recognize hundreds of related scents. 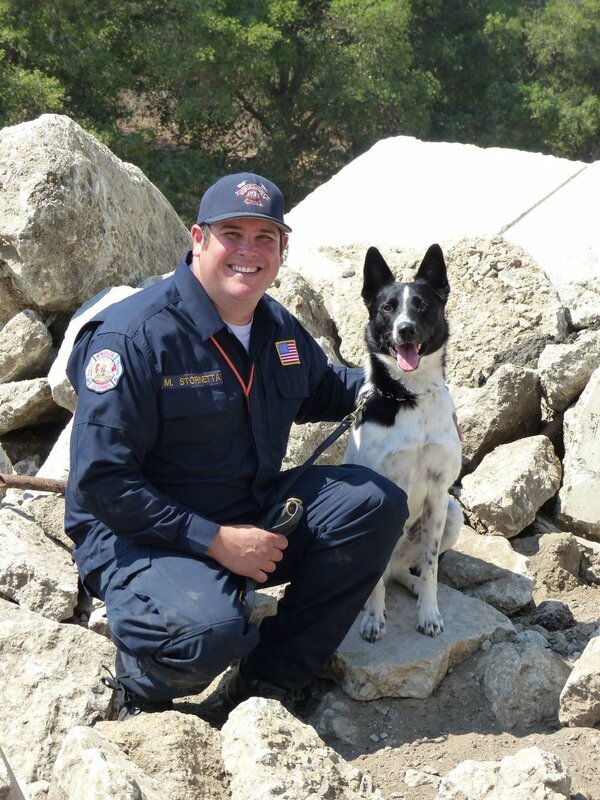 Search-and-Rescue (SAR) K-9s: Some of these dogs come from official groups (e.g., law enforcement), but many SAR teams are volunteers who are part of state or national SAR groups. SAR dogs are involved in finding anyone from lost children or hikers, to drowning victims, to victims of natural disasters or terrorist attacks. These dogs include those trained to air scent, as well as dedicated tracking dogs. More on that next week. Therapy K-9s: Therapy dogs are selected based upon temperament, appearance, and aptitude. Some dogs are trained to be comfort animals for the elderly, the sick, victims of domestic violence, or for stressed-out university students—my own university has dogs brought in for this purpose during exams, and Ann has Kane, a working therapy dog who visits an AIDS hospice, a domestic violence shelter, and an adult day care facility. Therapy dogs must be tolerant of other animals on-site—other therapy or service animals, pets, etc.—and be willing to endure touches or hugs from total strangers. Service K-9s: Service dogs are trained to perform specific tasks for their owners and strangers. Cancer detection dogs in medical facilities can detect traces of cancer in patients long before diagnostic tests are accurate. Diabetes or epilepsy dogs are trained to detect low blood sugar levels or impending epileptic seizures so they can alert the owner or a caretaker to get help if the owner is unable to respond. Hearing assist service dogs are trained to alert owners to doorbells and ringing cell phones. PTSD dogs can recognize moments of stress in their owners and can often avert that reaction by their presence and “covering their 6”. As you can see, these dogs are dedicated, incredibly smart, well-trained animals, who can make life and death decisions and real-time differences for their owners and the public on a daily basis. Next week, we’re going to start looking more at search-and-rescue teams, just like Meg Jennings and her black lab, Hawk, in our upcoming release LONE WOLF. Speaking of LONE WOLF, our publishing house, Kensington, is very generously giving away 25 copies before LONE WOLF’s November 29th release. For your chance to enter the October 12 – 19th giveaway, follow the link here: http://bit.ly/2dZYadJ. Not a Goodreads member? Sign-up is easy and free! Good luck! We’re starting a new type of post this week: the canine highlight. We’d like to bring to your attention some particularly outstanding working dogs who have shown as much courage as their human counterparts, saved lives, and significantly affected those around them in the most positive of ways. This week, we bring you the amazing tale of Sergeant Stubby. In last week’s post, we talked about working dogs through the ages. We mentioned the working dogs of World War I, concentrating on the medical aide dogs that were sent out onto the battlefields after the cessation of fighting to bring supplies to those in need. But there were other dogs as well who joined the cause—and one of those was Sergeant Stubby. When a young bull or Boston terrier mixed breed dog wandered onto Yale University campus and into the training grounds of the 102nd Regiment, 26th Infantry Division, Corporal John Robert Conroy took a liking to the little mutt. He started feeding the stray and even let him sleep in the barracks. Eventually, Stubby became the Division mascot, spending so much time with the men that he learned all the marching maneuvers, and even was trained by Conroy to salute with his paw. When the 26th Infantry Division was shipped out to France aboard the SS Minnesota, Conroy smuggled Stubby aboard, and then tried to keep his presence hidden. Eventually, the dog was discovered by the commanding officer. However, Stubby won the officer’s goodwill by saluting him, and was then allowed to stay with the Division openly. Stubby accompanied the 26th to the Western Front in France, where he proved to be an invaluable part of the unit. After nearly being killed early on by mustard gas, he became adept at stiffing it out early and running up and down the trenches barking at the men to put on their gas masks before going to hide himself. His extremely sensitive hearing was also a boon—he could hear incoming shells long before the men and warned them to take cover, and he could hear the approach of advancing German foot soldiers and warned the sentries of the imminent attack. He was also known to scour the territory of “No Man’s Land” following any fighting, looking for fallen Allied soldiers in need of rescue. Stories of the time reported that he would only respond to the English language, thus avoiding the wounded Germans altogether. His actions in the unit saved countless lives. During the Meuse-Argonne campaign in 1918, Stubby discovered a German spy in their midst, mapping the Allied trenches to take the intelligence back to the Central Powers forces (Germany, Austria-Hungary, Ottoman Empire and Bulgaria). When the spy tried to make a run for it, Stubby went after him and brought him down, and then clamped his jaws around the man’s rear end until soldiers from his own unit came to take the spy into custody. The unit’s commanding officer was so impressed with his performance that the dog was battlefield promoted to the rank of sergeant. This meant that he actually outranked his owner, Corporal Conroy. Stubby took part in seventeen battles and four major offensives on the Western Front, and was the recipient of the following medals and devices for his service in battle: 3 Service Stripes, Yankee Division YD Patch, French Medal Battle of Verdun, 1st Annual American Legion Convention Medal, New Haven WW1 Veterans Medal, Republic of France Grande War Medal, St Mihiel Campaign Medal, Purple Heart, Chateau Thierry Campaign Medal, and the 6th Annual American Legion Convention. Following the war, Stubby went to Georgetown University with Conroy while he studied to become a lawyer. While he was there, Stubby became the mascot of the football team and was infamous for coming out during the halftime break and pushing a football around the field with his nose to the delight of the crowds. He was inducted into the American Legion, marching in all their parades, and even met Presidents Wilson, Coolidge and Harding at the White House. You can still see Sergeant Stubby today. Following his death in 1926 at approximately ten years of age, he was taxidermied by Conroy and gifted to the Smithsonian in 1956. He is now part of one of their World War I exhibits at the National Museum of American History. His WWI uniform, complete with all his medals, is on display at the Hartford State Armory. In last week’s post, we talked about how dogs moved from hunting competitors to become an integrated part of our society. For many of us in the modern age, we look on dogs as companions and family pets, but dogs have been considered working animals for thousands of years. Specifically, how have dogs worked with us to improve our lives and livelihood through the millennia? Greeks and Romans: Molossus dogs (forebears of modern mastiffs) were bred for war, protection and hunting. Vikings: Native Arctic wolves were interbred with domestic dogs producing a ‘spitz-type’ dog related to the modern Norwegian elkhound. Dogs were used for cattle herding, and for hunting moose and bear. Spanish Conquistadors: Mastiffs were carried on ships to the New World, where they were armored and used as battle dogs used to pursue, disembowel and dismember the enemy. American Civil War: Cuban bloodhounds (a mastiff breed used as killer pursuit dogs) were used to track escaped slaves at the Confederate Andersonville prison. World War I: ‘Mercy’ dogs were sent out onto the battlefields with first aid packs after battles for soldiers to self-treat their injuries. Dogs were also used for personal protection and tracking. World War II: For the first time, dogs were used in modern military service with a single handler to search out and signal danger, carry messages between foxholes, and patrol for the enemy. Vietnam War: It is estimated that approximately 5,000 dogs served in the Vietnam War as scouts, trackers, sentries, and were also used for explosives and tunnel/booby-trap detection. It is believed that military dogs saved up to 10,000 lives during the Vietnam War. Next week we’re going to highlight a very special historical dog, Sergeant Stubby from World War I. Then later on, we’re going to look at the roles of dogs in modern life, from war, to police work, to search-and-rescue, to service and therapy dogs. Hope to see you back again. **Last week to enter! ** To celebrate the upcoming launch of LONE WOLF, Kensington is holding our first Goodreads giveaway! You can find it below. Be sure to enter for your chance to win an early copy months before it actually releases! Photo credit: Victor R. Ruiz, Kristýna Žikovská, New York Public Library, The Soldier’s Story (1866), Library of Congress, World War II Database, and Wikimedia Commons. We’ve all heard the phrase ‘man’s best friend’ in reference to dogs. Dogs are our working partners, guides, guards, and family, but how did that connection between canines and humans come about? Dogs, as we know them in the modern sense, branched off from the wild wolves in modern Asia, Europe, and the Middle East about 25,000 to 38,000 years ago, toward the end of the last Ice Age. This time period means that these animals co-existed with man during his hunter-gatherer stage, immediately preceding the development of agriculture. Of all domesticated animals, dogs were the first to be domesticated in approximately 13,000 BCE, a full 4,000 years before the next domesticated animal, the sheep. Notably, the dog was the first species to have a reciprocal relationship with humans. How did this change in relationship status move dogs and humans from competing hunters to partners on a common team? No one knows for sure, since this was long before recorded histories, but genetics and early art tell a convincing tale. It is most likely that wild dogs were attracted to cooking fires of men and the smell of roasting meat. They would also be drawn by the smell of discarded animal carcases and at first were likely raiders, pillaging any unattended or discarded meat. The key to this early relationship was the type of animals attracted to human societies: these animals were generally less aggressive and were likely the non-dominant pack members with a lower flight threshold—in other words, ideal animals for domestication. Genetically, this interaction coincided with a morphological change in the canine skull, specifically the development of a shorter snout with fewer, more crowded, and smaller teeth—all physical characteristics associated with reduced aggression. The relationship between man and dog was commensal to begin, meaning that while it was opportunistic for the dogs, it didn’t affect the humans in any way. But their interaction became mutualistic—a relationship good for both species—as humans took advantage of the dogs’ specific skills in hunting and protection, and then adapted new skills such as herding. An alternate theory suggests that dogs exploited an earlier mutation to be able to digest starches and carbohydrates, something wolves are not able to do. This change occurred just as man was discovering the advantages of agriculture, allowing the dogs to feed off scrap heaps more efficiently. Interestingly, humans adapted to starch digestion at nearly the same time in an intriguing twist of parallel evolution. Over the centuries and millennia, selective breeding by humans developed dogs into the modern species we know today. Much of modern breeding revolves around appearance, however early domestication selected almost exclusively for behavioural traits. In fact, scientific studies show there was a genetic selection for adrenaline and noradrenaline pathways leading to tameness and a greater emotional response in the animals. This helped to create the domesticated, loyal, connected personalities we recognize in our dogs today. Please join us next week as we come back looking at the role of working dogs from the Romans and Vikings onwards. 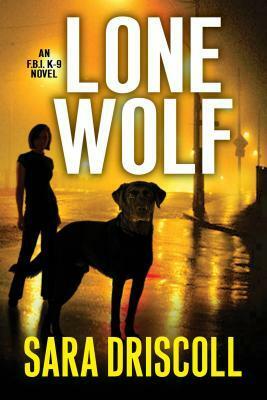 To celebrate the upcoming launch of LONE WOLF, Kensington is holding our first Goodreads giveaway! You can find it below. Be sure to enter for your chance to win an early copy months before it actually releases!